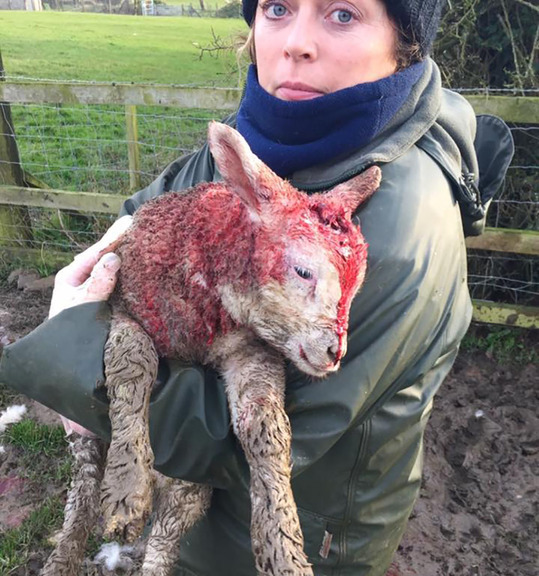 Robert and Marie Jones who farm in Rhosybol, Anglesey, said 10 lambs and seven ewes were attacked on March 16, across both theirs and their neighbours farms. The duo are now in talks with MPs to get the issue into parliament and have the laws around livestock worrying amended. “It was like a scene from a horror movie,” Ms Jones said. Marie Jones with one of the lambs which had to be put down. “It is now about getting the law changed because for a lot of farmers we move our sheep through different fields and if a dog attack occurs on a public road then the regulation does not cover it. 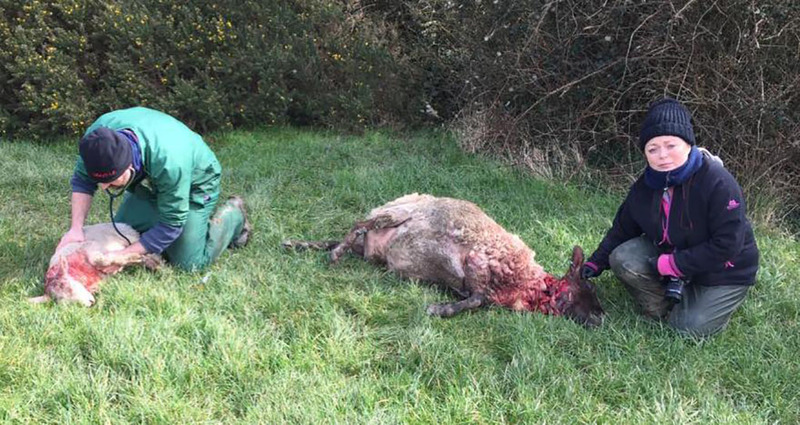 According to UK legislation, prosecutions are only enforceable for livestock attacks on agricultural land but Ms Jones said dog owners were under no obligation to report an attack. And if a farmer was to suspect the incident was down to a neighbour’s dog but there was no evidence to prove it, the police would not have the power to DNA test the dog – or seize it. It came as MP for Ceredigion Ben Lake pressed the government on what action it was taking on possible amendments to the Dogs Protection of Livestock Act 1953 ‘that would better enable police forces to address the matter’. The National Sheep Association said it supported a change in the law but in the meantime urged farmers to report all instances of dog worrying to the police, ‘as every incident reported can help paint a picture of just how prevalent the issue is and reminds policy makers why they need to act’. Ms Jones added: “This is huge. We are not going to put a handful of sheep in a trailer and go back and forth to move them all.